The Heavy Duty Wheel lock will foil the plans of thieves and vandals. Shown here attached to a wheel making it impossible to easily steal your equipment and ruin your day. 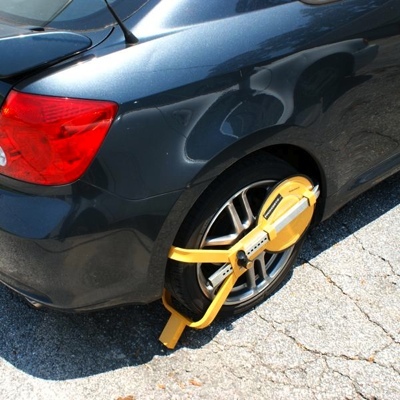 Works just like a Denver Boot Wheel Lock, except you do not owe a bunch of money in parking tickets. This wheel works on everything from utility vehicles and trailers to cars and pick up trucks.